Obsessed with all the layered necklaces! That’s the thing that I first noticed too! 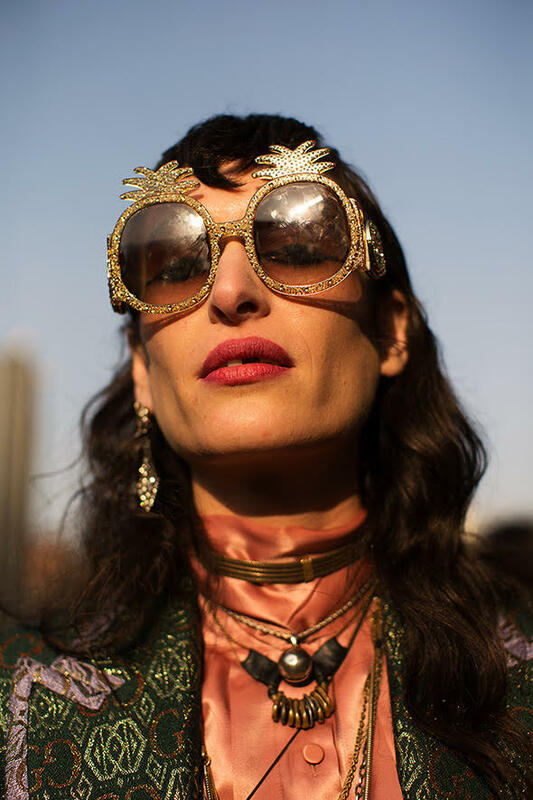 Cross-dresser…no doubt a lover of the garment industry…totally divino/divina!..those Liberace pineapple sunglasses are such a roar! A beautifully edited vintage look. Is s/he missing a tooth?! Love this shot so much. Luxurious color and textures, with beautiful light.